Marshall Walter Taylor, better known as “Major” Taylor, was a Black cyclist from Indianapolis who started his career while still a teenager. He would go on to become a professional cyclist and set various world records in sprint racing while traveling around the globe. Taylor won the world one-mile paced standing start in 1898, and won another world championship in Montreal in 1899. Unfortunately, after fourteen years of professional cycling he decided to stop, in part because of the demanding lifestyle, but also because of the intense racism he experienced within the cycling community. During an event in Boston, Taylor was pushed off his bike and choked by a white cyclist until police intervened. Taylor passed away in Chicago at the age of fifty-four. In 1948, a group of cyclists had Taylor’s body exhumed and reburied at a gravesite in Mount Glenwood, close to where the Major Taylor Trail would later be built. The trail extends from Whistler Woods forest preserve into Riverdale, and crosses through the West Pullman, Morgan Park, and Beverly neighborhoods into the Dan Ryan Woods Forest Preserve. The trail covers about six miles and also connects to the Indiana Dunes trail, the Lakefront trail, and the Burnham Greenway. 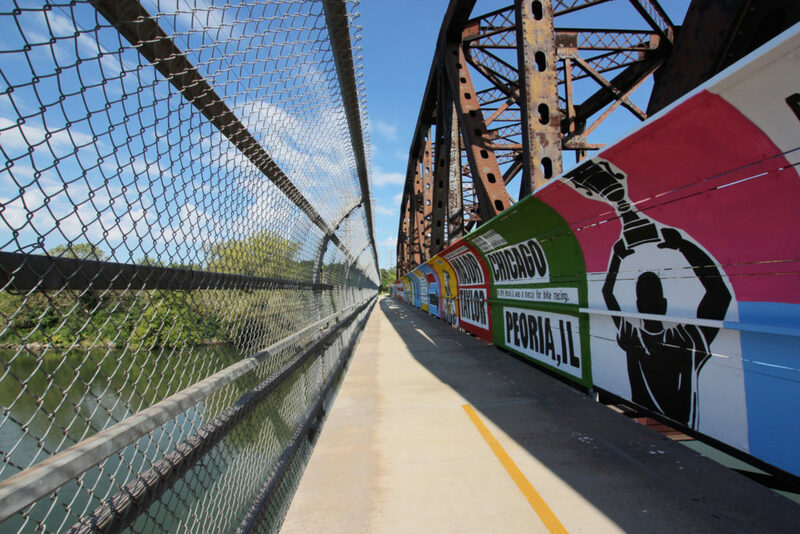 Major Taylor Trail Mural, pedestrian bridge near 129th St. and S. Eggleston Ave.
Beaubien Woods could be one of the most popular parks in Cook County. One of the few sites managed by the Forest Preserves within Chicago city limits, Beaubien is located right off the Bishop Ford Expressway, and along the Little Calumet River. With ample fishing opportunities in the Little Calumet and in Flatfoot Lake, one of only a few boat ramps along the Little Calumet, and a trail that passes through several high-quality natural areas, Beaubien Woods is not short on attractions. Despite its natural advantages, Beaubien is fairly isolated from the rest of the city. Although the site borders Altgeld Gardens, the largest public housing development in the city, access from elsewhere in the city is lacking. It’s nearly an hour by bus from the Red Line stop at 95th, and most of the preserve’s 279 acres are seldom visited. Robb Telfer, the former Calumet Outreach Coordinator at the Field Museum, says he once got excited about seeing new trash on a trail because it meant that people were actually using the site. While it’s a regular fishing spot, Telfer says few people visit with their families, hike, and explore the site’s flora and fauna. There’s a lot to explore: Along with the lake and river, Beaubien Woods includes a large expanse of open woodlands and three high-quality native prairie habitats. Telfer mentions the site is home to some fairly rare native plants, as well as turtles, frogs, coyote, deer, and beaver. This year featured an exciting addition to the list—a wild turkey, one of the first times the bird has been seen in Chicago in several decades. But the ecologically rich woodlands are tricky to enter: the trail entrance is unmarked, and tucked away across from the Carver Military Academy, a half-mile down the road from the main parking lot. Unless somebody has given you directions, it’s hard to find. But now, that’s changing. In September 2017, the Chicago Community Trust announced its first round of grants as part of the Our Great Rivers program, aimed at funding community-led projects along different parts of the riverfront. The Trust awarded a total of $800,000 in grants to ten different river-focused projects, ranging from a mural installation and dragon boat races at Ping Tom Park in Chinatown to a feasibility study for a trail along the Sanitary and Ship Canal. $75,000 went to the Forest Preserves “to conduct a community engagement process for a 10-year plan to connect the Altgeld Gardens housing development with nearby natural amenities,” including Beaubien Woods. The initial Our Great Rivers report, released in August 2016, specifically recommended that a master plan be developed for Beaubien Woods and Altgeld Gardens. 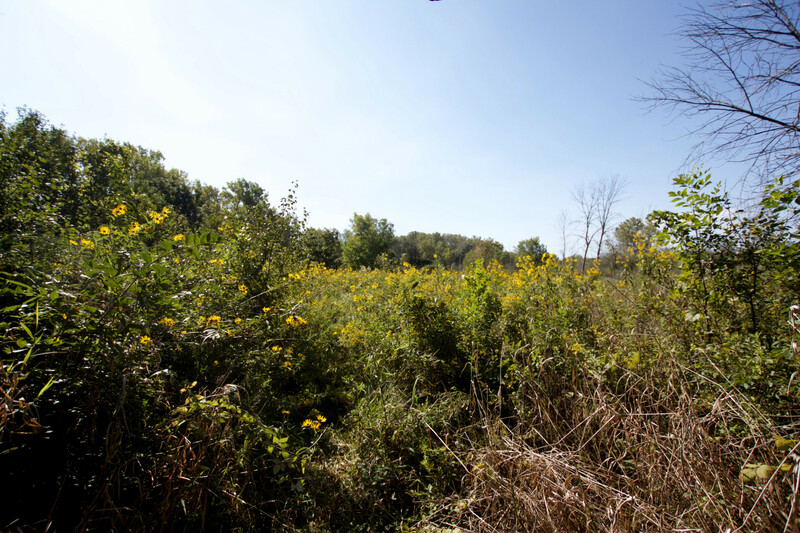 Chloe Gurin-Sands of the Metropolitan Planning Council (MPC) says that they identified this site as a particularly great location for building connections between neighborhoods and existing Forest Preserves properties. The site also offers an opportunity for other organizations to build on the ongoing work of the Field Museum, which has hosted monthly stewardship days aimed at removing invasive plants and restoring the site’s natural habitats for over a decade. While the grant was awarded to the Forest Preserves, CHA, and MPC, they also approached the Regional & Urban Planning committee of the American Institute of Architects’ Chicago chapter to collaborate on the project. The committee was able to provide professional services so that all of the grant money could be spent on implementation rather than planning. The engagement process began with a community barbecue on May 10, with residents from nearby communities invited to walk through the woods and discuss their visions for the area with planners. The next day featured a design event, with architects, engineers, economists, and historians pooling their collective knowledge to develop several proposals for future improvements to the site. The dominant theme was regional connectivity: linking Beaubien Woods to the Red Line extension to 130th, the Major Taylor trail, and various other regional assets. 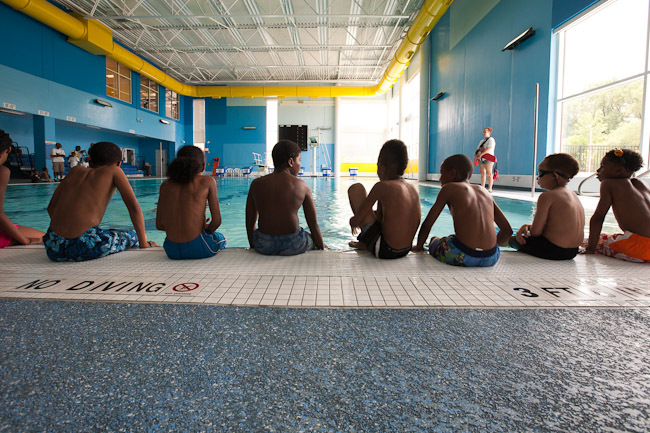 On the third and final day, residents were invited to a community open house at Carver Military Academy to comment on the results of the planning process. That day happened to coincide with Chicago River Day, an annual cleanup event organized by Friends of the Chicago River, and they coordinated a cleanup event to occur at Beaubien along with that open house. Now, the Forest Preserves, CHA, and AIA Chicago are assembling a ten-year vision and action plan for the area, with the goal of supporting additional grant applications. By the end of October, hopes are that the partners will be able to present the final results to the community. According to Richard Wilson, co-chair of the AIA Chicago committee, some highlights to watch for in the new plan include visibility enhancements and facilities upgrades. He hopes that adding signage and creating a more inviting entrance will increase public awareness and help draw visitors to the park, and thinks that upgrades to parking and bathrooms, and a new system of trails, are key to connecting the site with adjacent neighborhoods and improving visitor comfort. In the long term, Wilson mentions potential efforts to reinvigorate two nearby marinas on the Little Calumet as providing additional ways for local residents to access the river, as well as offering a site for educational programming. Some improvements are already underway. Telfer and Wilson both referenced concurrent efforts to organize a memorial commemorating the site’s role in the Underground Railroad. In part of what is now the reserve, Dutch abolitionist Jan Ton owned a farm where he sheltered escaped slaves as they travelled north. Additionally, Friends of the Chicago River recently installed an osprey nesting platform, providing vital habitat for ospreys that live on fish caught from the nearby river. Ospreys are listed as an endangered species in Illinois, and their presence indicates an increasingly healthy Little Calumet.